High Fructose Corn Syrup (HFCS) is a manufactured, chemical sugar that is present in many foods such as bread, cakes, cookies, soft drink and condiments. It is produced by a secret chemical process involving extracting sugar from corn stalk. The extraction process involves a complex chemical enzymatic process. While cane sugar is made of half glucose and half fructose, HFCS is made of 55% fructose to 45% glucose. In natural sugar, two sugar molecules are bound together and are broken down in the digestive tract. With HFCS, there are no chemical bonds between the fructose and glucose molecules, so the fructose is released more quickly into the blood stream, triggering blood sugar spikes. HFCS is much cheaper than regular sugar and extends the shelf life of processed products. It made a very bad name for itself in recent years for it's links to many major health problems such as heart disease, obesity, dementia, diabetes, cancer, autism and liver failure. Consumers have since become increasingly more aware of this toxic ingredient and kept their distance. So what do the big food companies do as a result? They change the name... As if it isn't bad enough that these dominant food companies are knowingly adding harmful ingredients to our food, they are actually trying harder to hide it. HCFS is now being disguised mostly under the names “fructose syrup” or, simply, “fructose”. Though it doesn't stop there. HCFS can also be known as: 1. Maize syrup 2. Glucose syrup 3. Glucose/fructose syrup 4. Tapioca syrup 5. Fruit fructose 6. Crystalline fructose Fructose in Fruit Vs Fructose in HFCS Since fructose is contained in fruit, we presume it's a healthier sugar form. Actually, the name is terribly misleading. When a person eats a piece of fruit, they consume fructose along with fiber, enzymes, minerals and vitamins. Conversely, when a person consumes the fructose in HFCS, they are ingesting high concentrations of it with the total absence of the healthful components of fruit. Whats in a name? Everything. For years, the corn industry has tried to mislead us. In 2010, the Corn Refiners Association tried to improve the image of HFCS by requesting to rename it 'corn sugar', a more natural sounding term. Thankfully, the FDA stepped up and turned down this fraudulent move. Nonetheless, they succeeded in changing the name of a form of regular HFCS called HFCS-90 (containing 90% fructose) to 'fructose' or 'fructose syrup'. This newly named sweetener contains even higher concentrations of harmful HFCS, making it more of a health risk than regular HFCS (42% or 55% fructose). The Corn Refiners Association have stated that a third product, HFCS-90, is sometimes used in natural and ‘light’ foods, where very little is needed to provide sweetness. 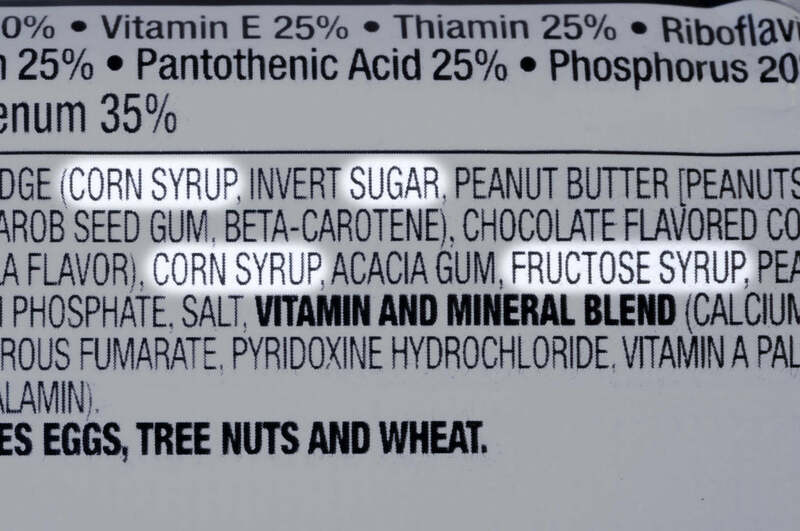 Though syrups with 90% fructose will not state 'high fructose corn syrup' on the label, they will state ‘fructose’ or ‘fructose syrup.’ What about the FDA? Even though the FDA declined to recognize HFCS-90 as safe, due to budget reasons and long product review times, 1997 they decided that food companies could review their own products and determine if they were safe or not. This self-regulatory system legally enables food companies to put profits above health. Even though multiple scientific studies add to a growing body of evidence that indicates HFCS consumption may result in negative health consequences when compared to natural sugar, high concentrations of HFCS are still permitted in our food chain. The best way to avoid these toxic chemicals is to avoid processed foods altogether and examine food labels thoroughly!